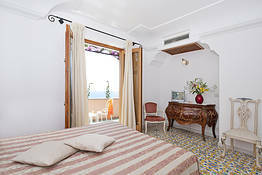 Room has bath &/or shower, heating, hairdryer, telephone, TV SAT, airconditioning,Wi-Fi, safe, balcony with sea view. 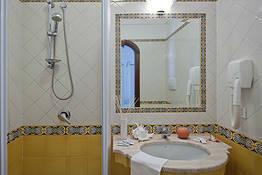 A larger and elegant room with bath &/or shower hydromassage, hairdryer,minibar. 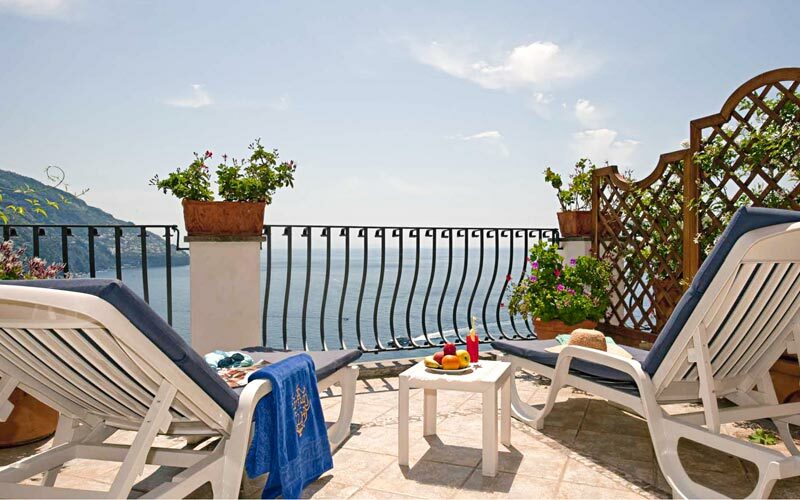 TV SAT, heating, safe, air conditioning, Wi-Fi and terrace with a splendid sea view. 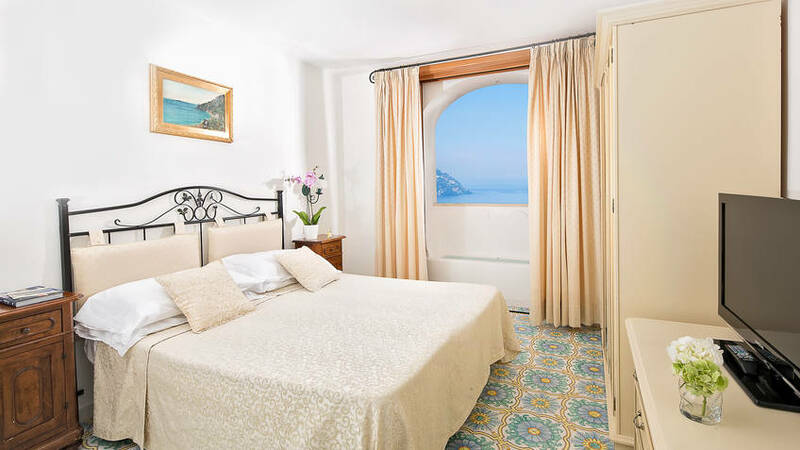 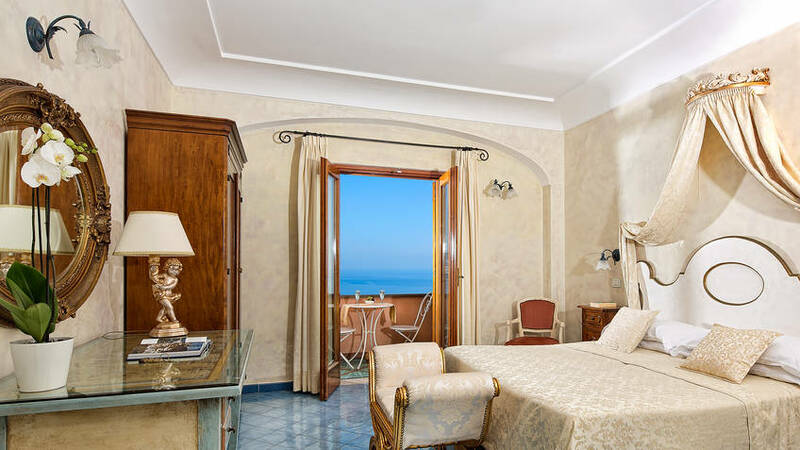 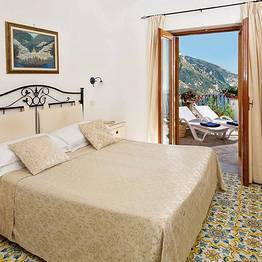 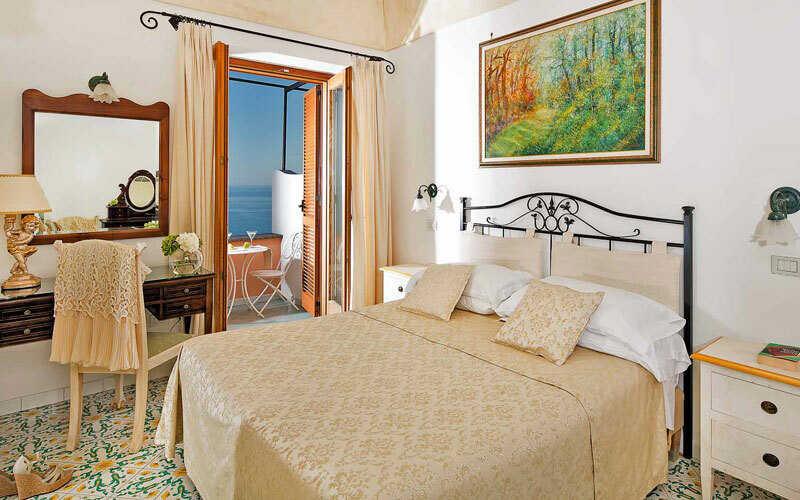 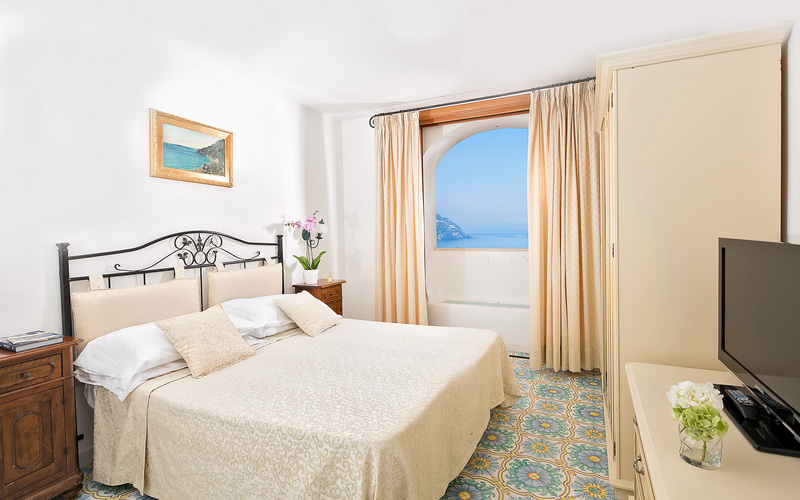 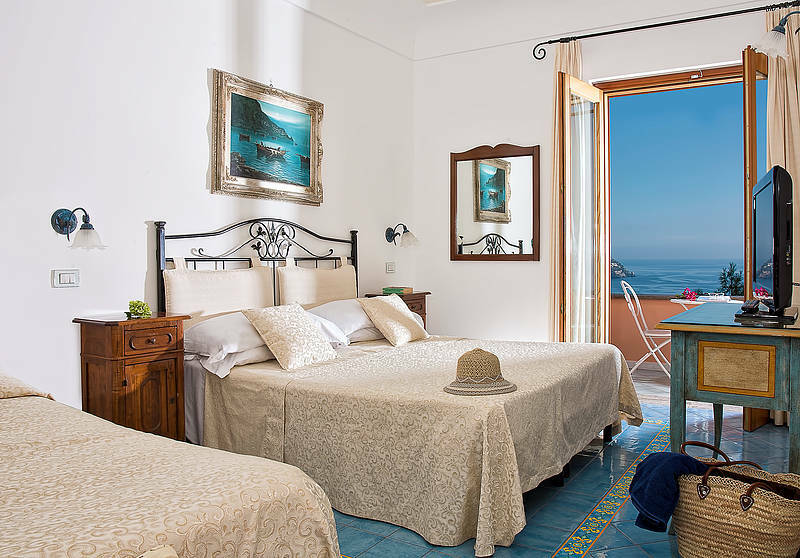 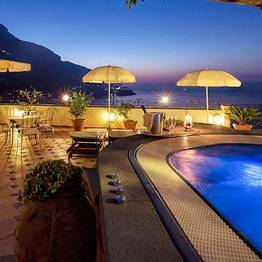 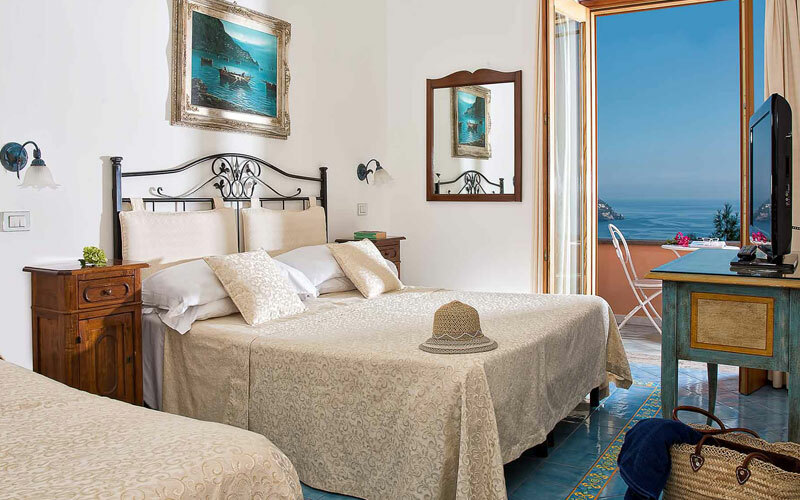 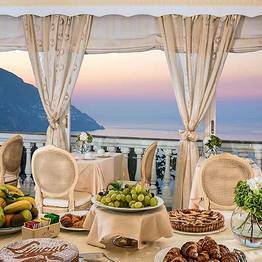 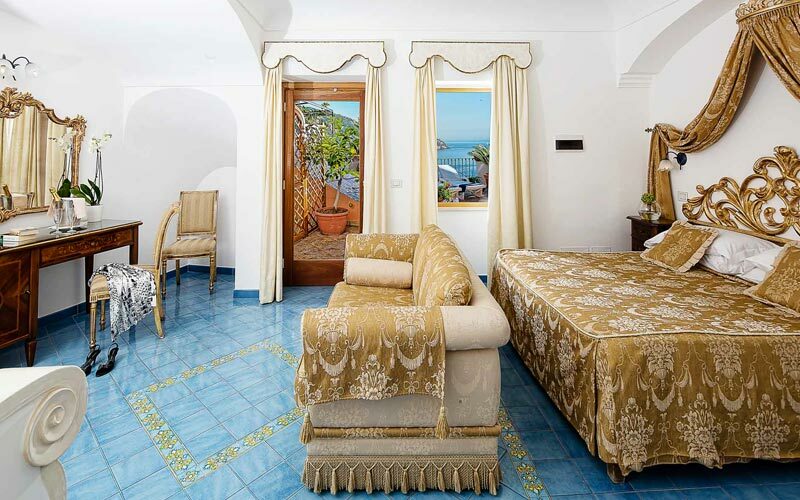 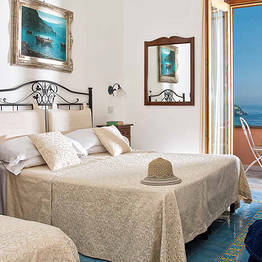 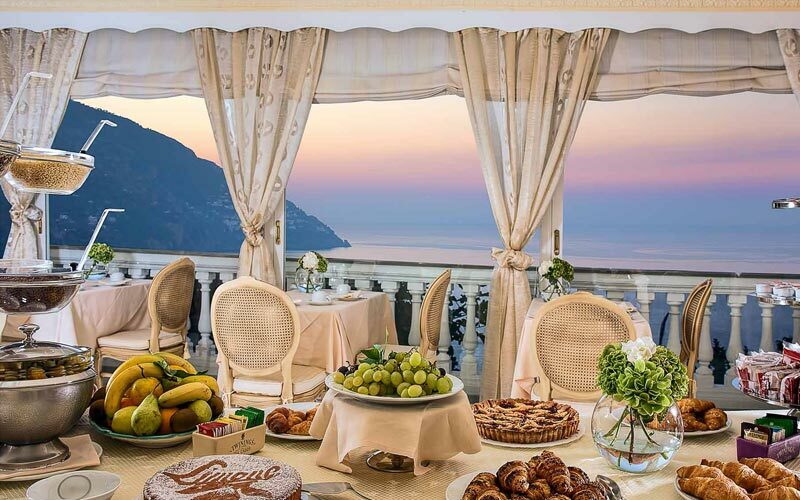 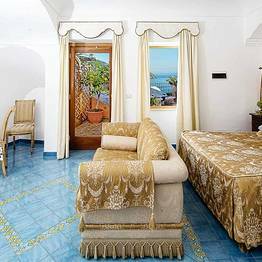 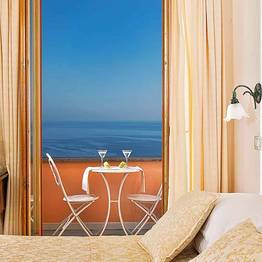 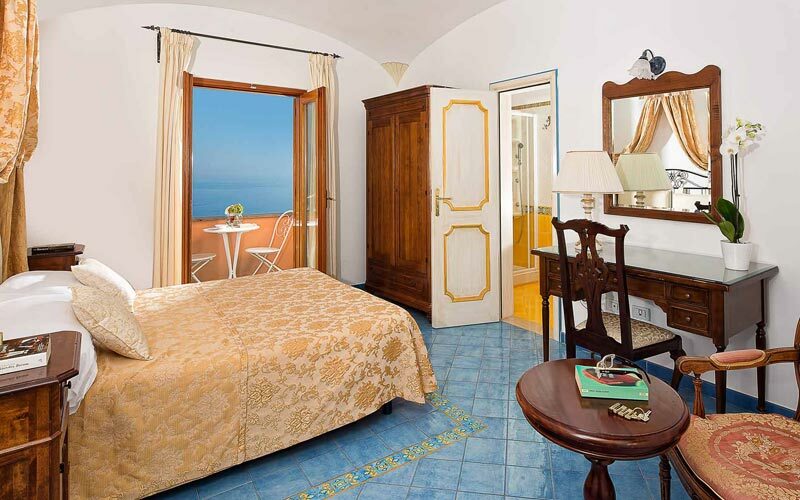 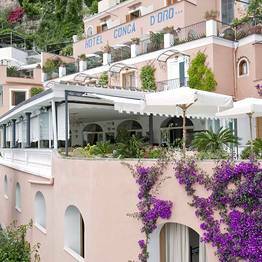 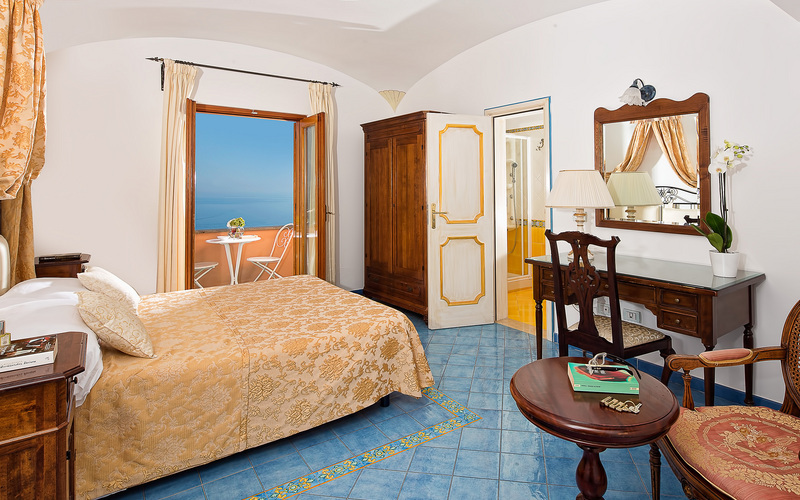 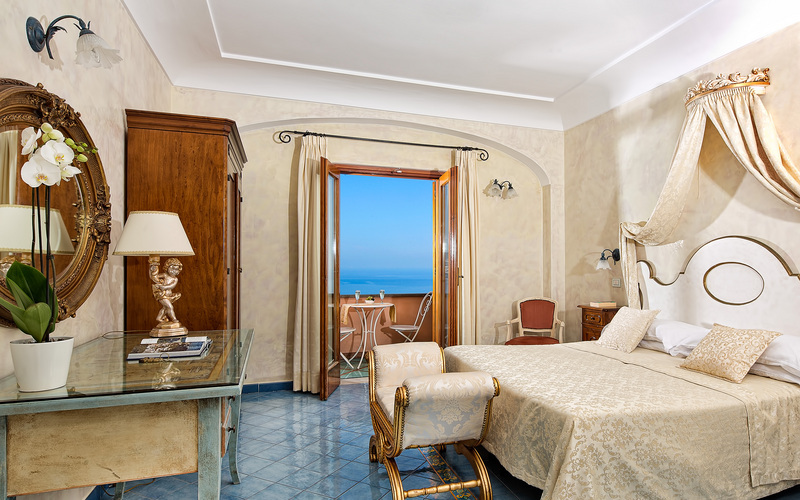 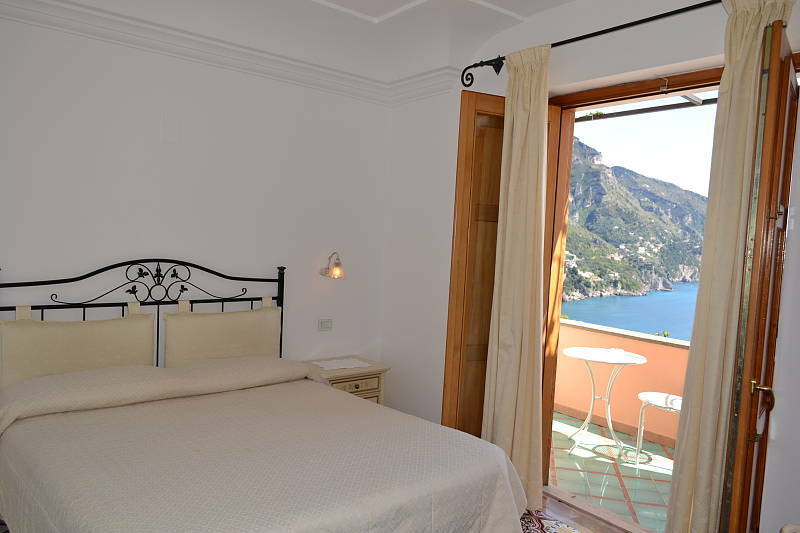 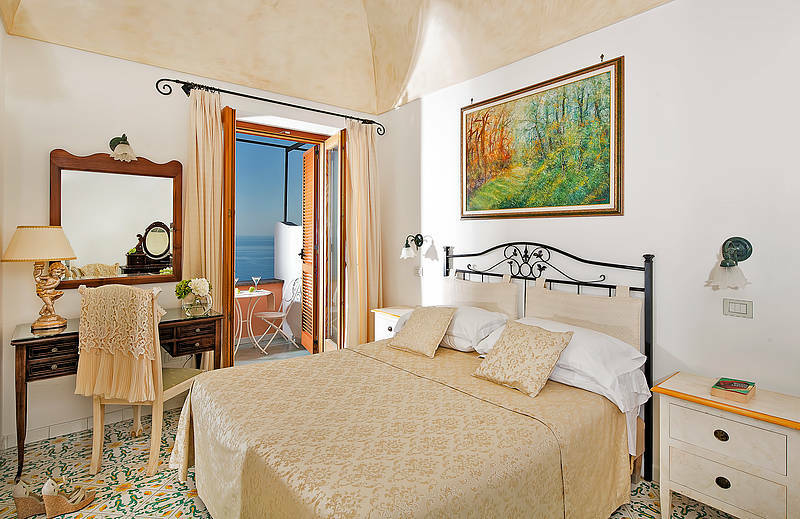 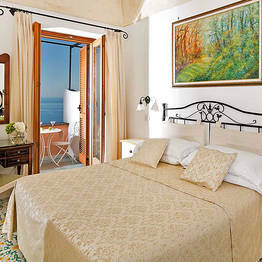 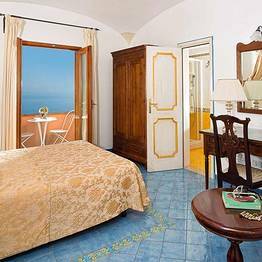 Beautiful bedrooms, fabulous food and a view of the sea surrounding Positano which you'll never forget: Hotel Conca d'Oro has all the ingredients for a dream holiday on the Amalfi Coast. 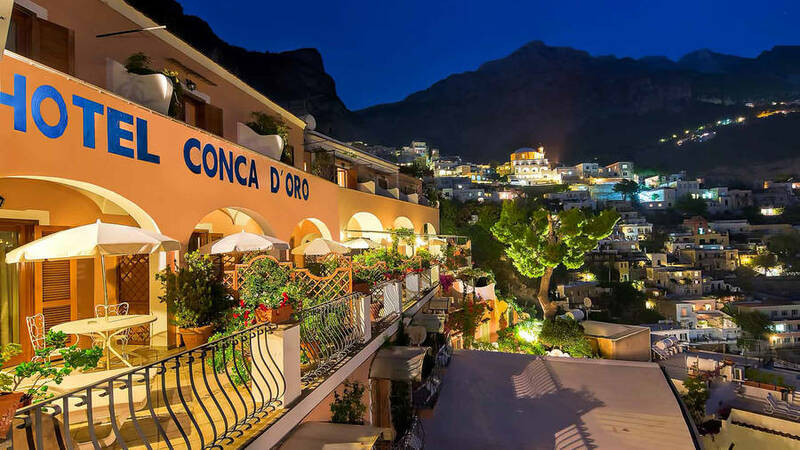 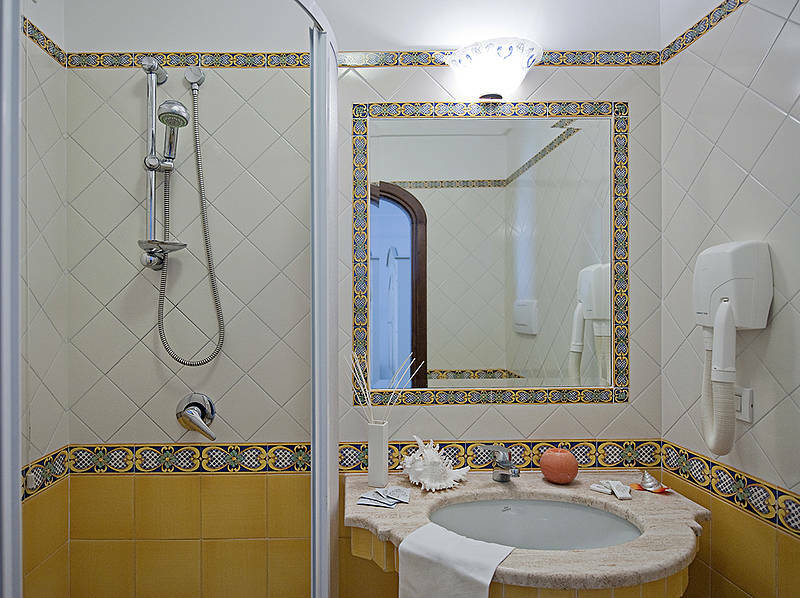 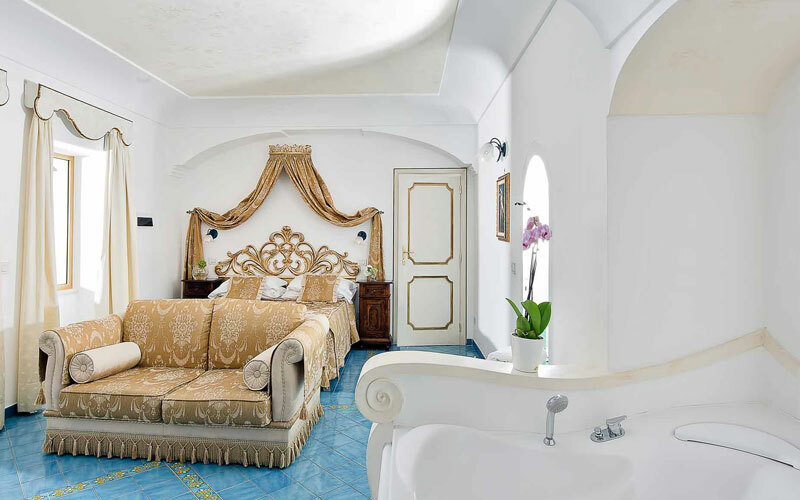 A 4 star hotel with 5 star facilities, Conca d'Oro provides luxurious accommodation in 42 spacious, light-filled rooms, complete with floors tiled in hand-painted majolica, beautiful items of locally-crafted furniture, hydromassage baths and Wi-Fi. 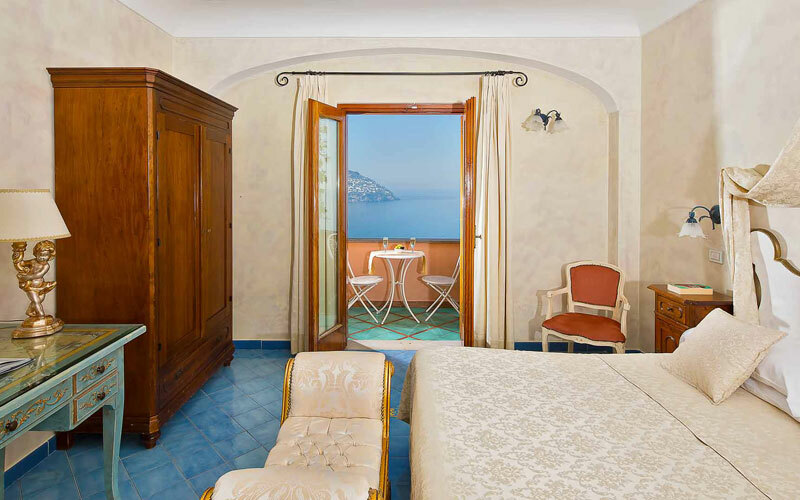 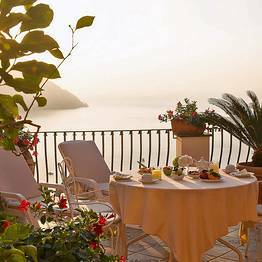 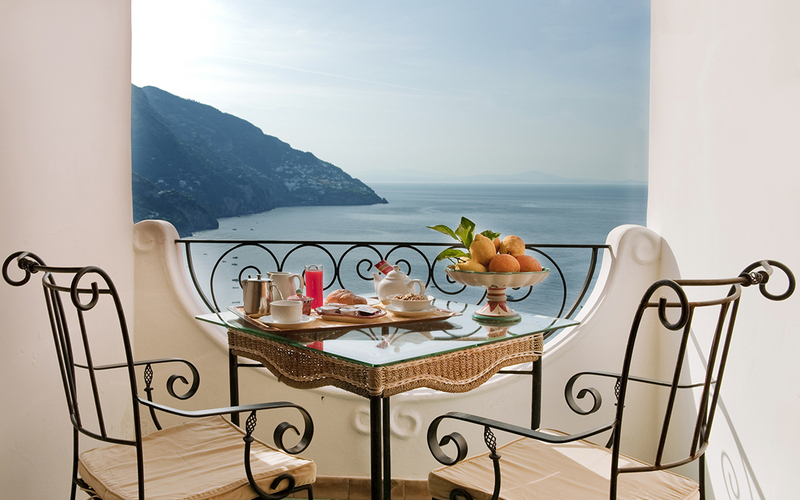 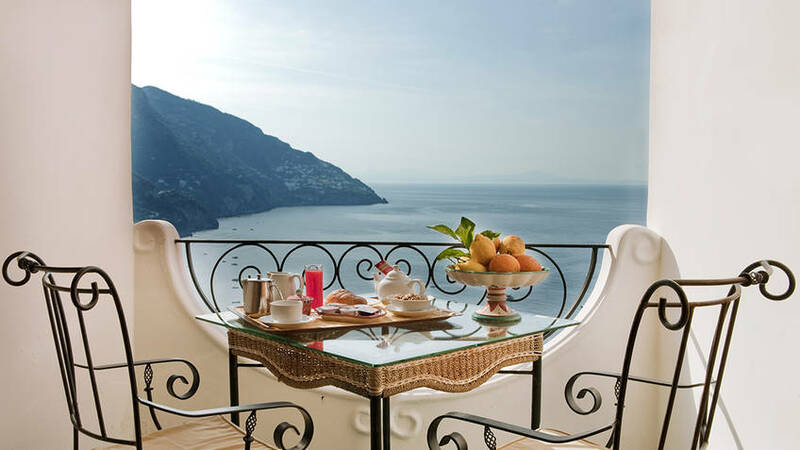 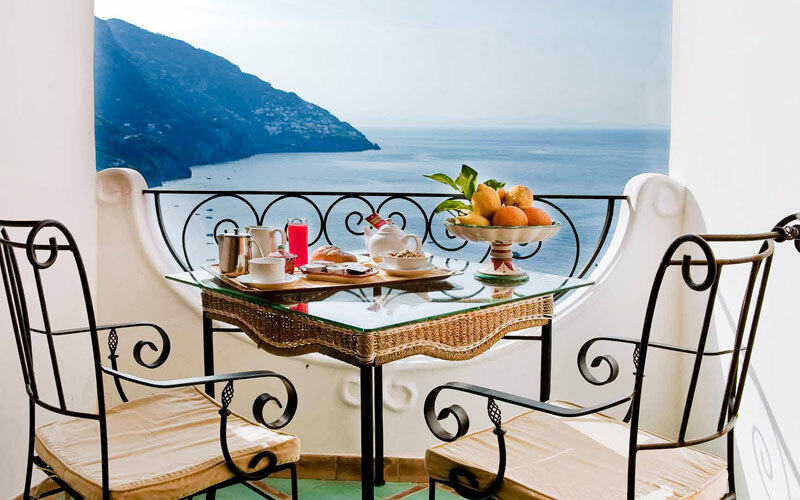 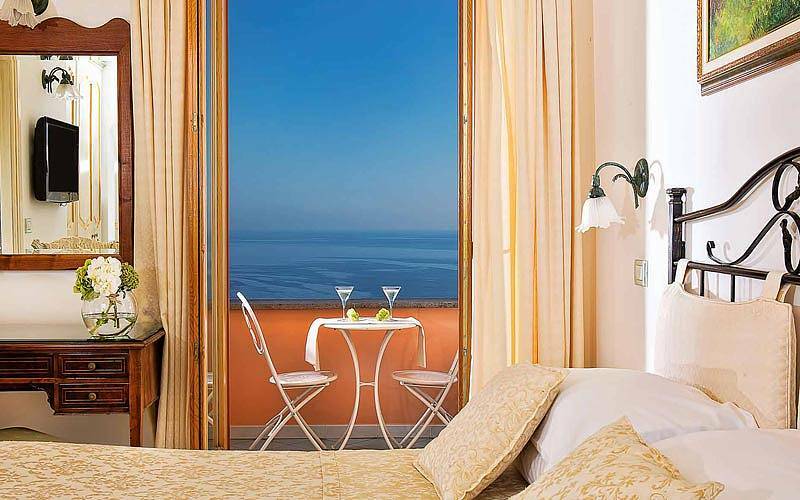 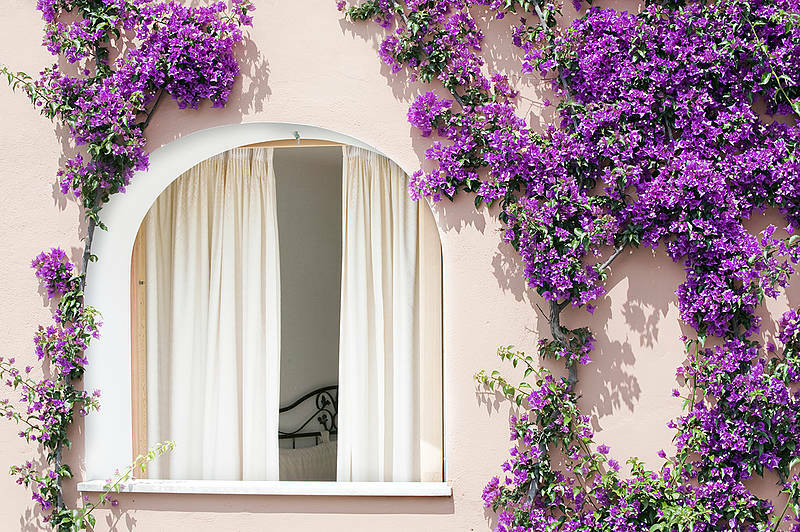 From the window, balcony or terrace of your room, you'll be treated to spectacular views over the bay of Positano. 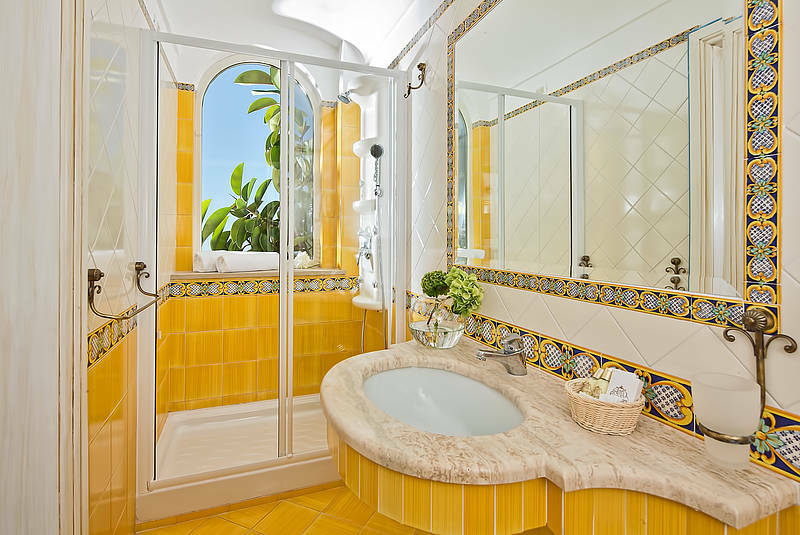 Looking for additional space and privacy? 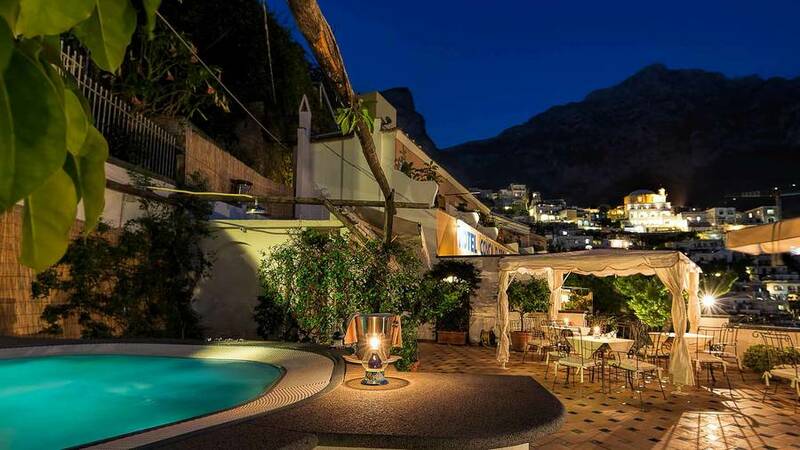 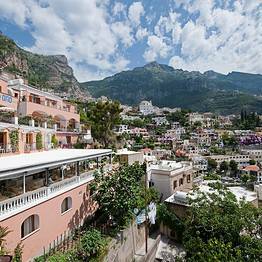 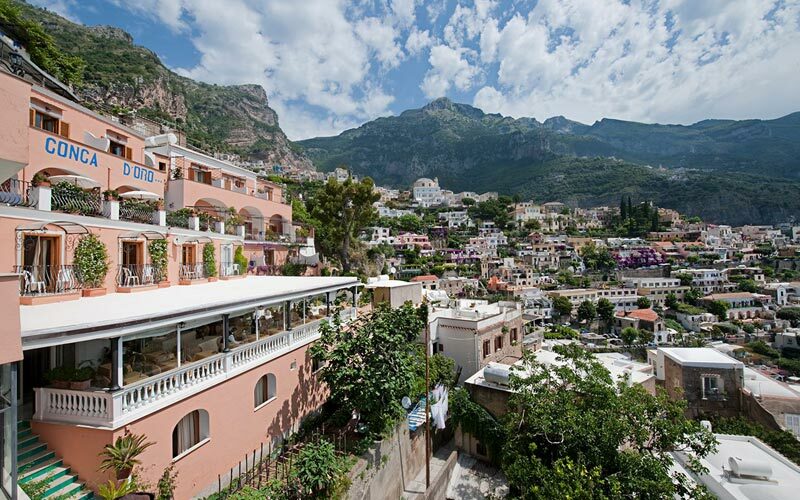 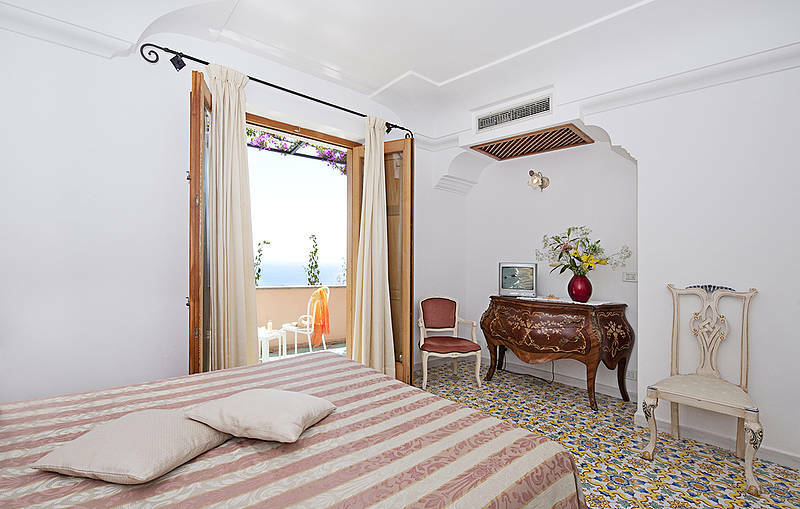 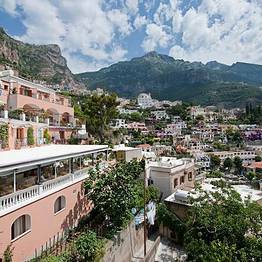 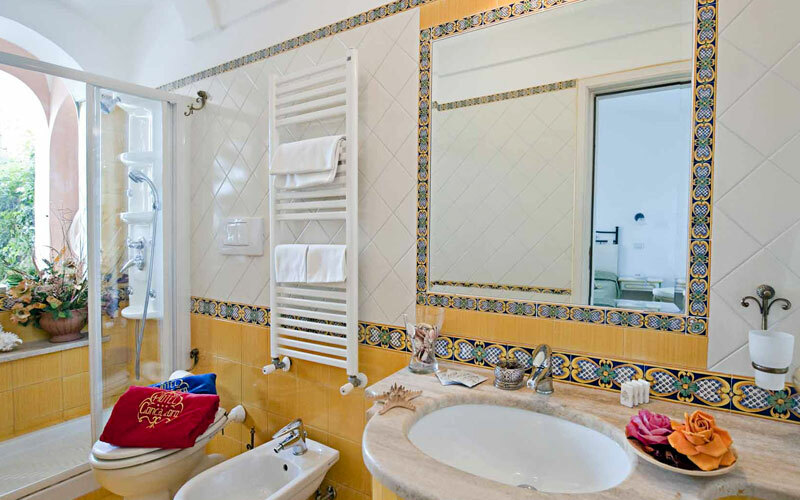 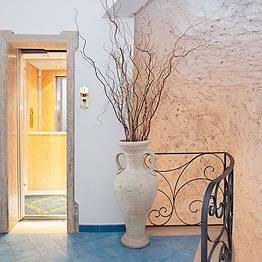 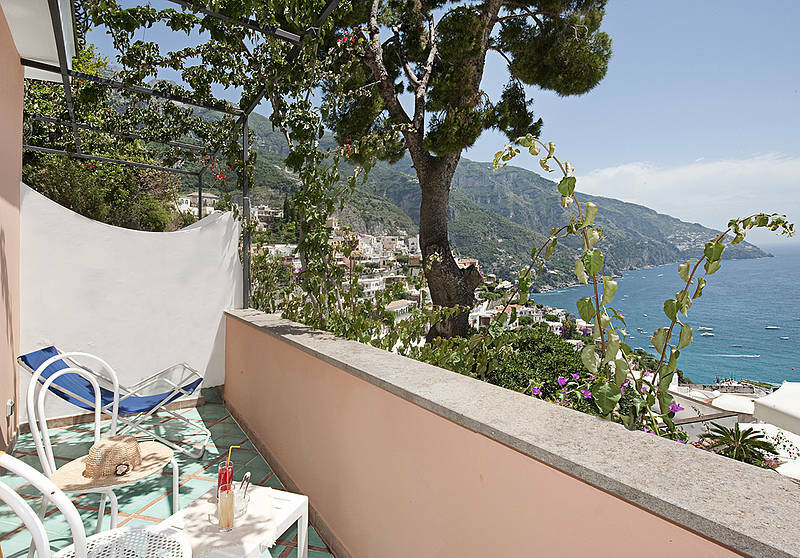 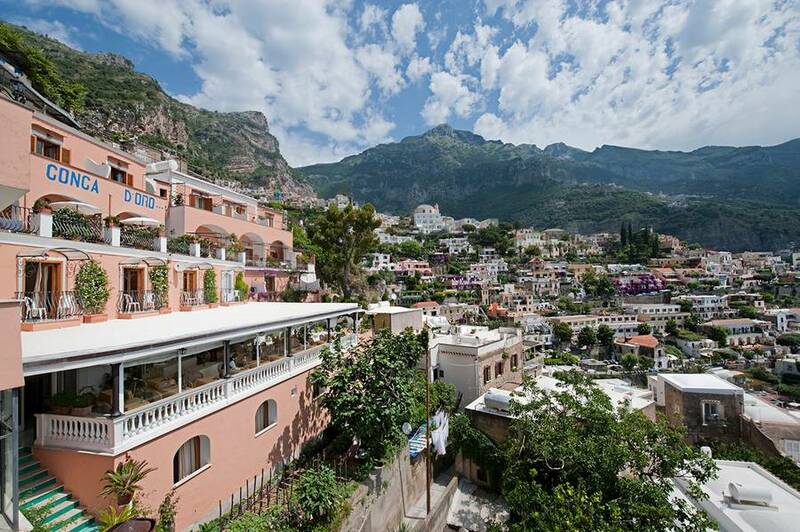 Book the independent "Studio" apartment or "Villa Principe Giovanni" - a private house located in the historic center of Positano and within steps of the hotel. 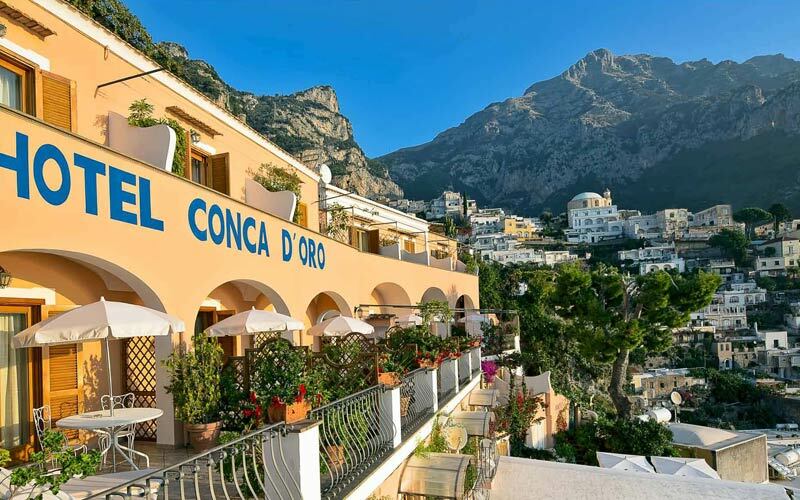 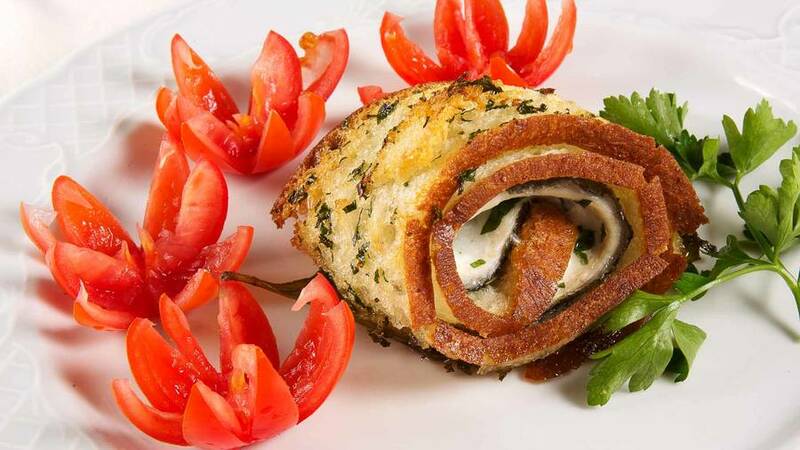 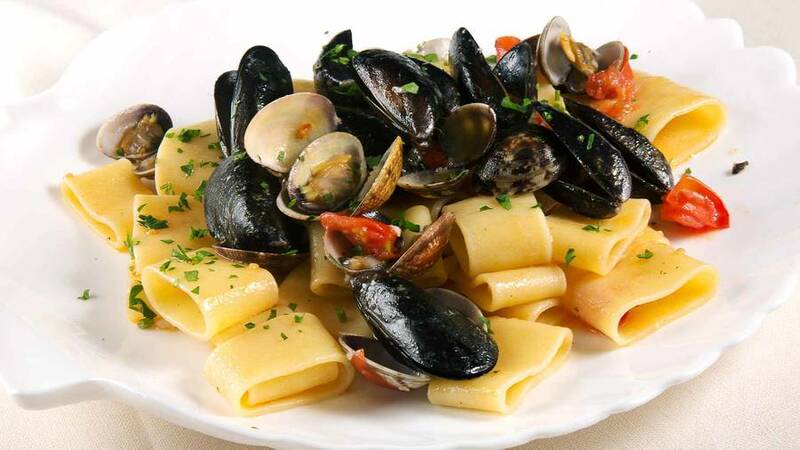 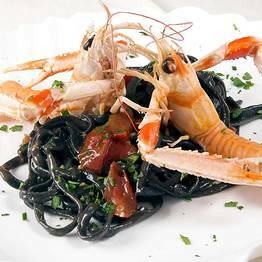 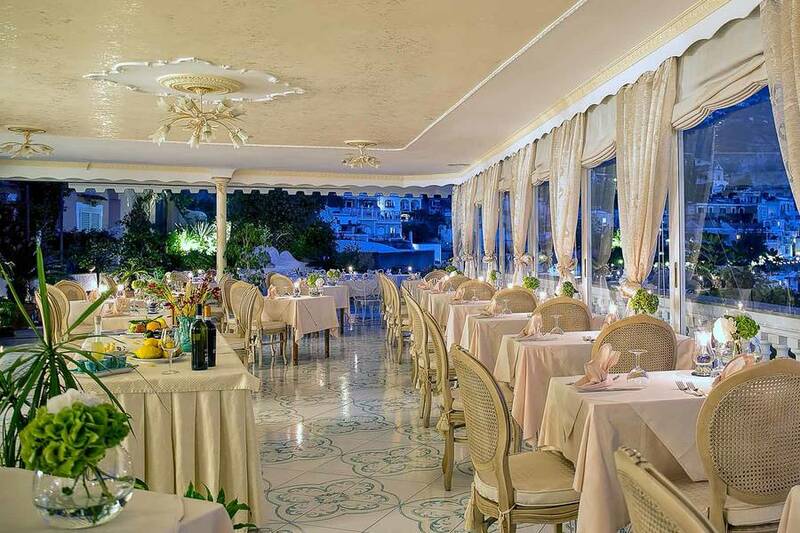 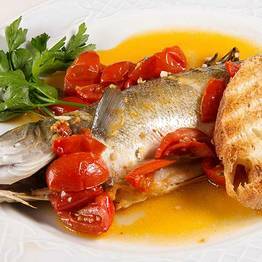 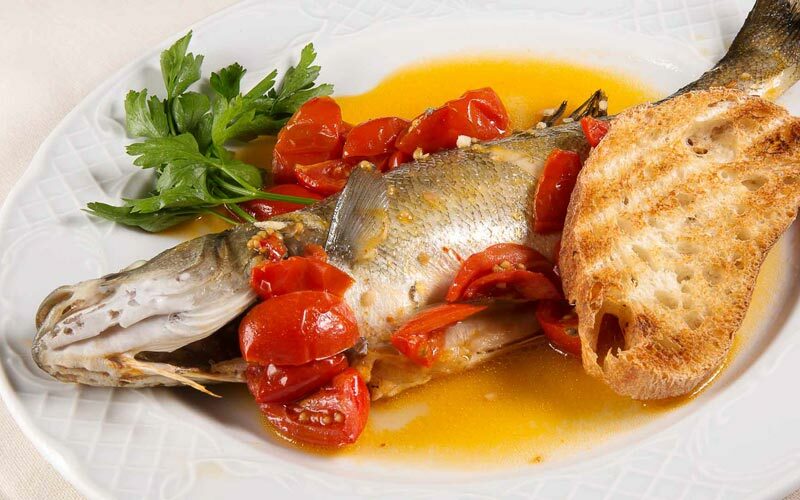 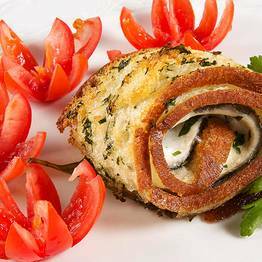 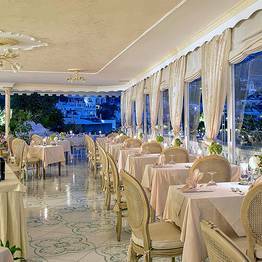 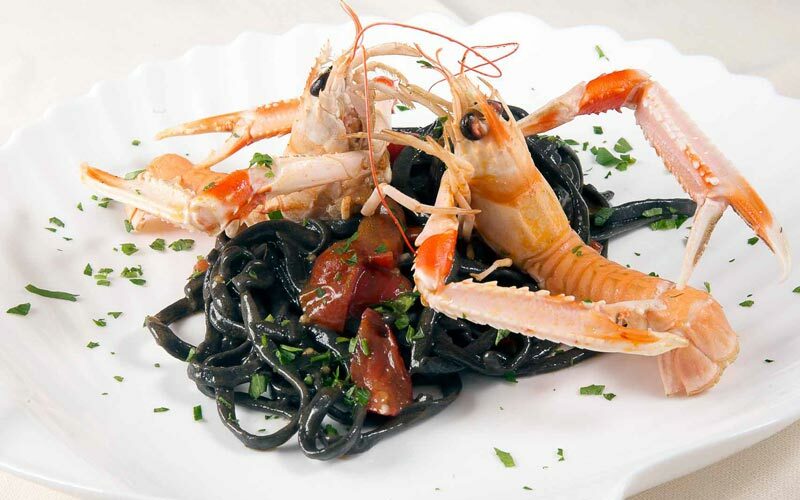 Offering the perfect introduction to the typical cuisine of the Amalfi Coast, Hotel Conca d'Oro's restaurant is filled with the exquisite colors and aromas of the Mediterranean. 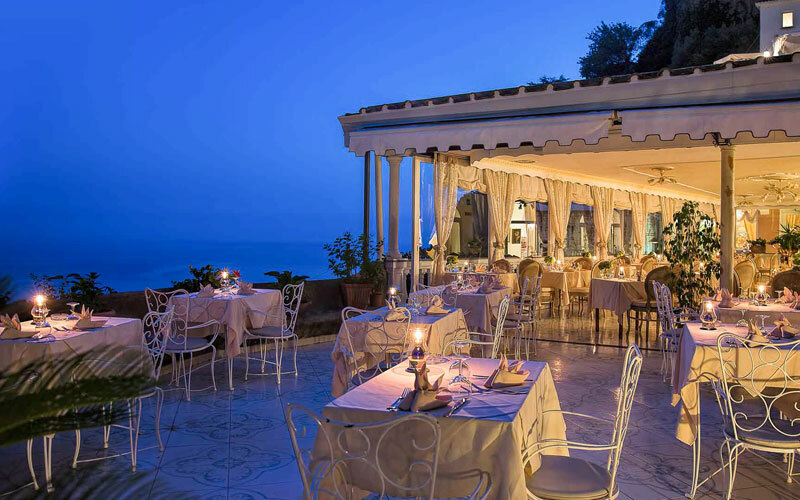 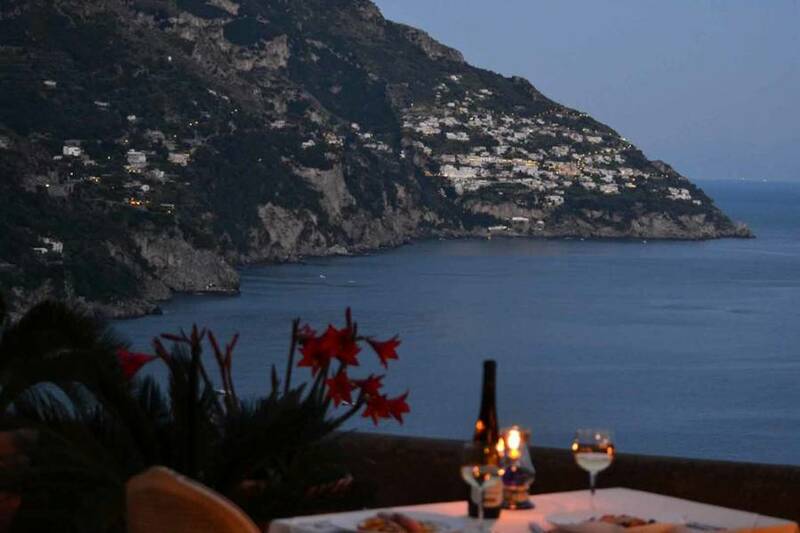 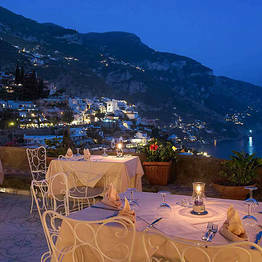 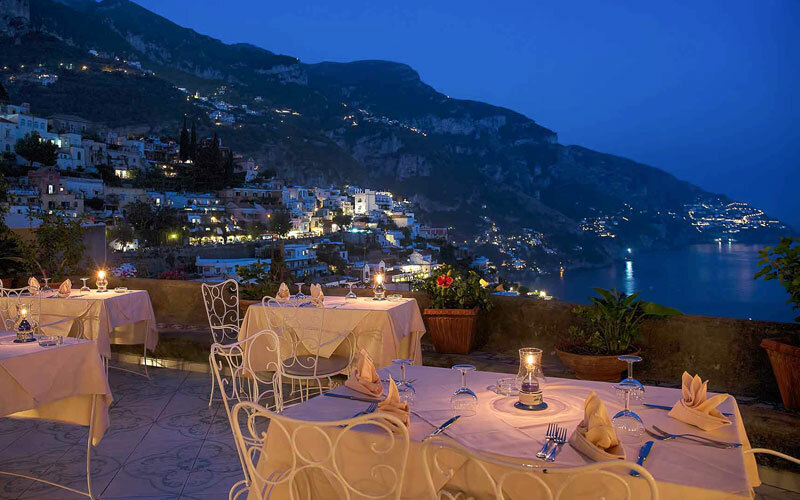 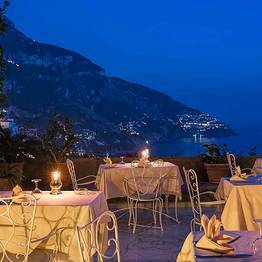 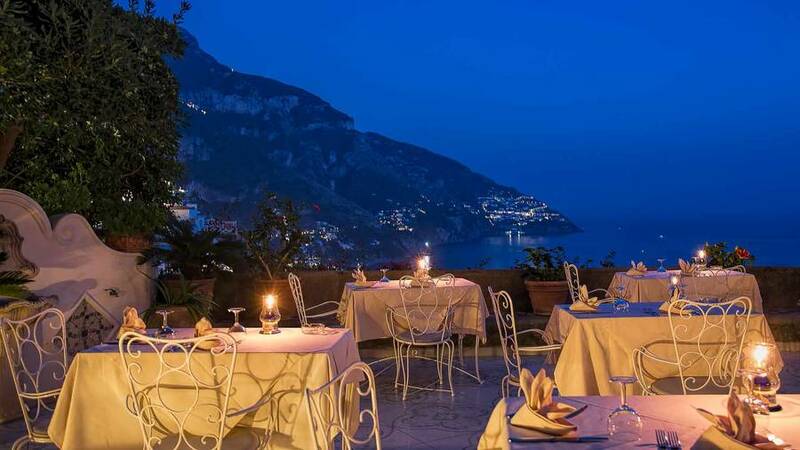 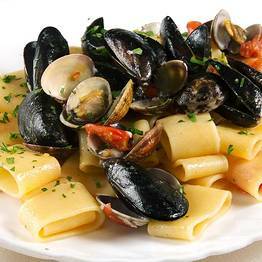 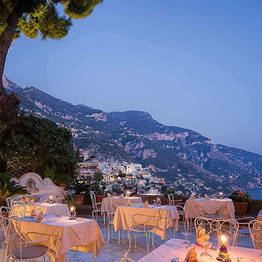 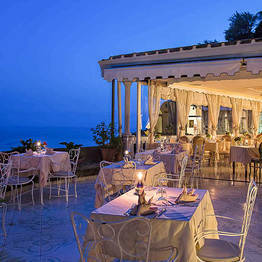 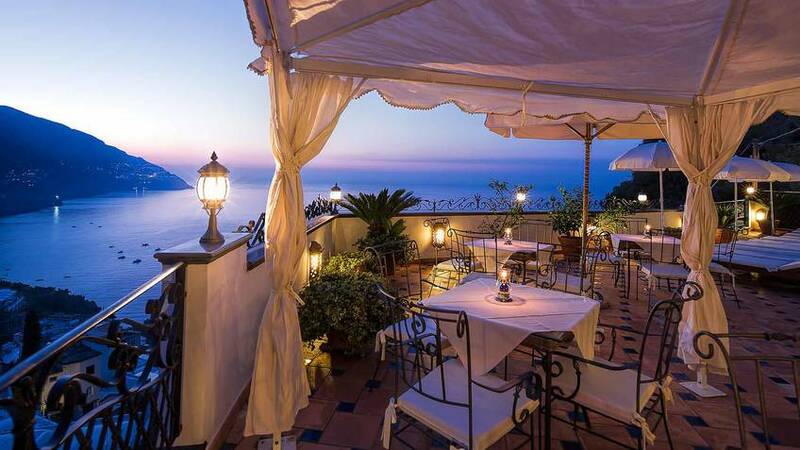 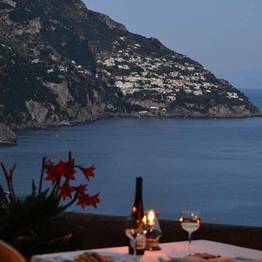 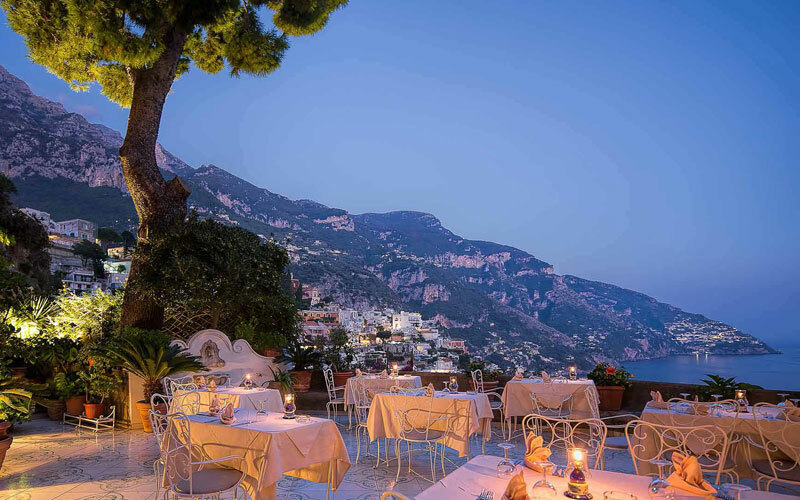 On warm summer evenings, meals are served al fresco on the panoramic terrace overlooking the sea surrounding Positano. 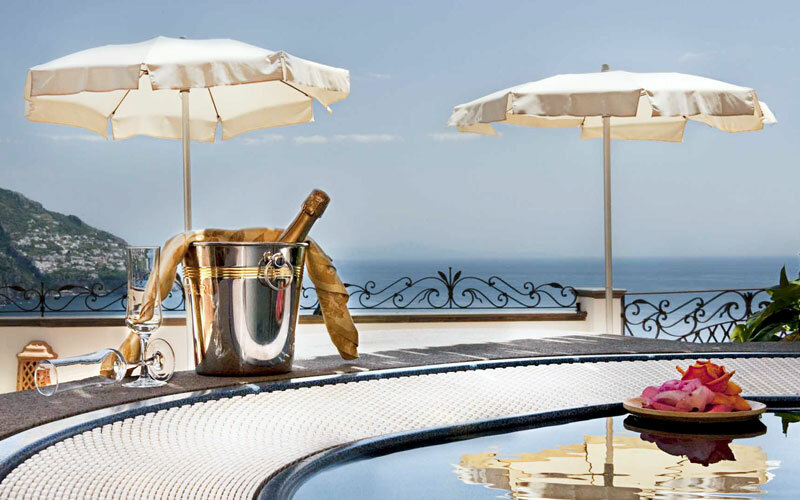 Open non-stop, the hotel's snack bar is the ideal venue for a light lunch between a session in the Jacuzzi and a snooze on the solarium terrace. 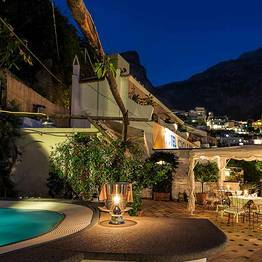 In the evening, the same bar serves elegant cocktails and after-dinner drinks. 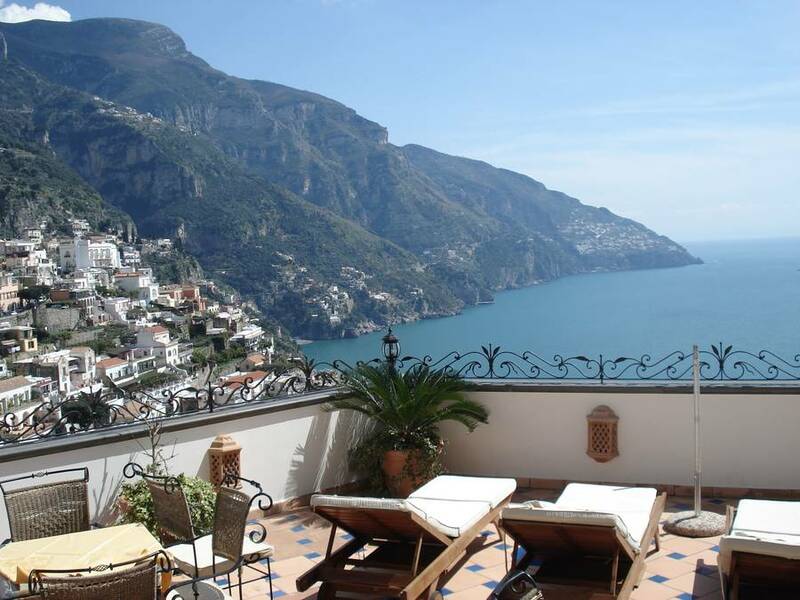 "Overall the hotel was good- the views were amazing! 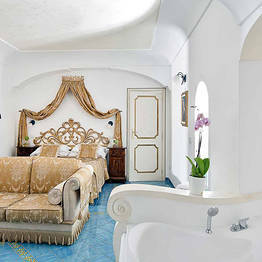 The bed was very uncomfortable- springs were literally poking into our backs. 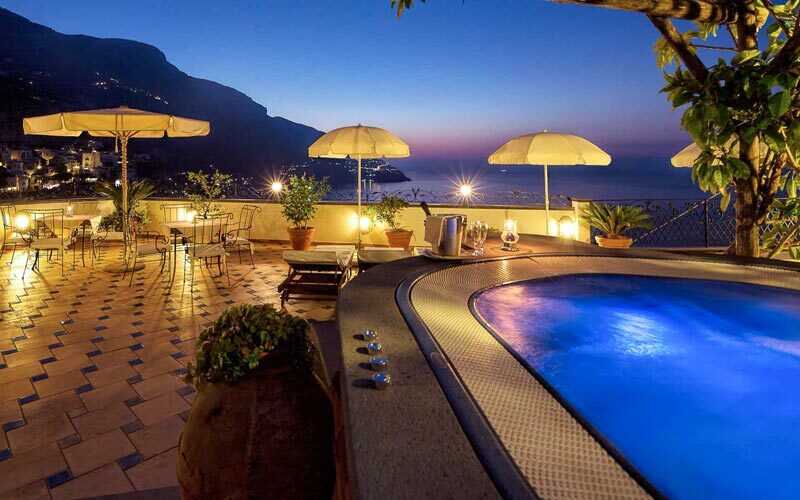 And make sure you know the massage price beforehand- I got ripped off." 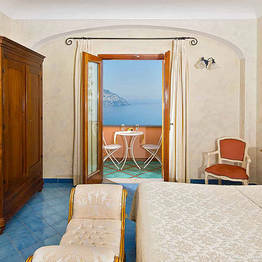 Hotel Conca D'Oro is just 3 minutes walk from the beach and 15-minutes walk from the center of Positano. 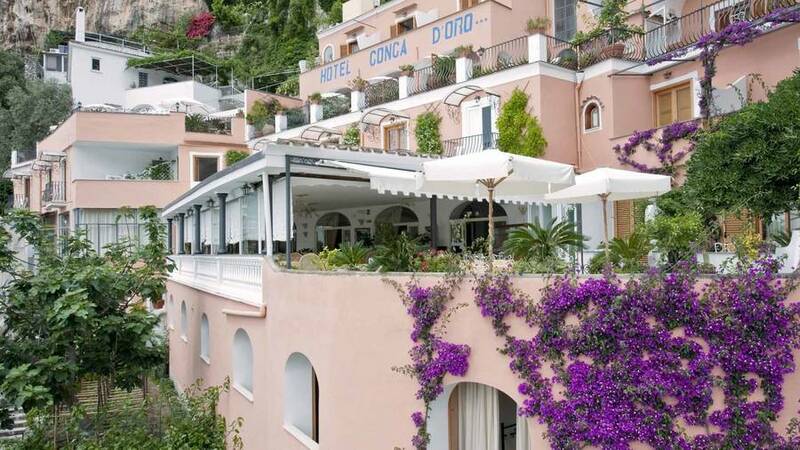 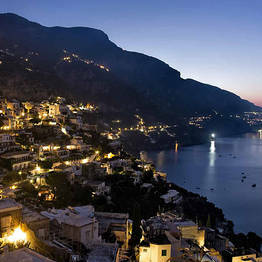 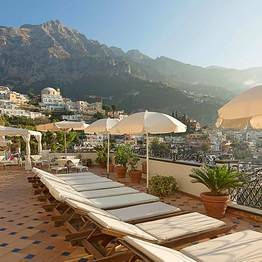 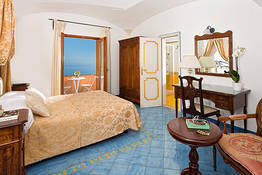 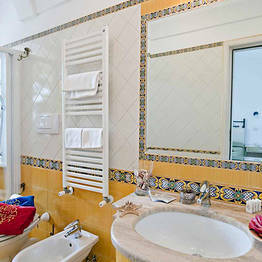 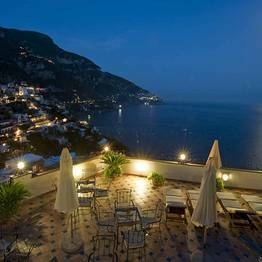 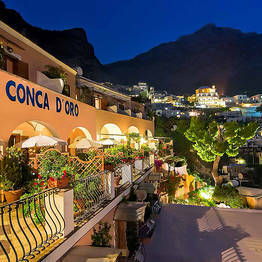 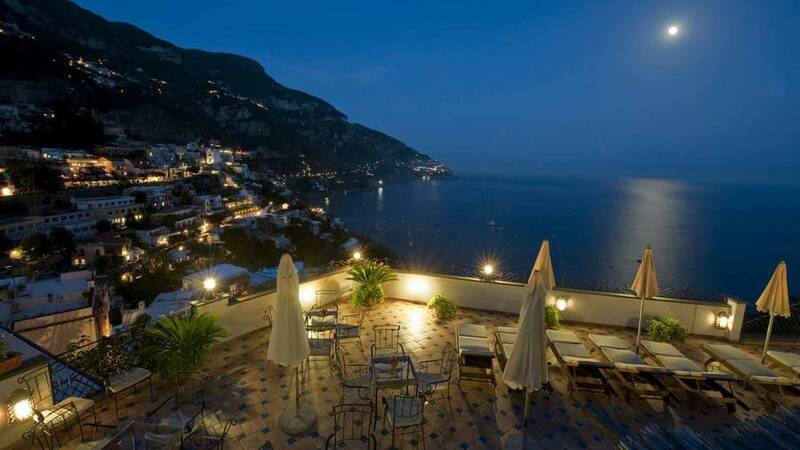 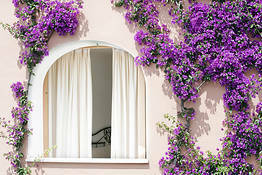 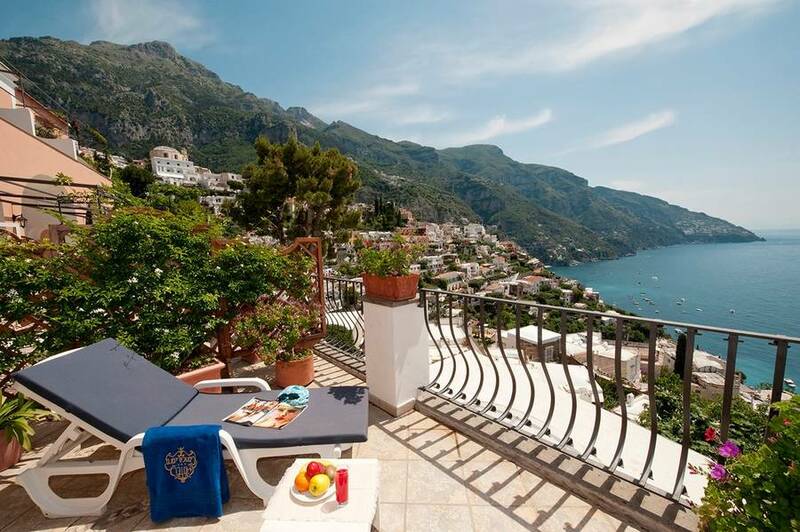 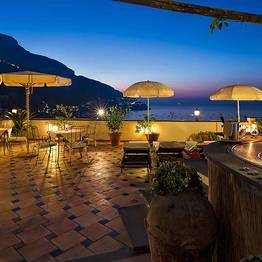 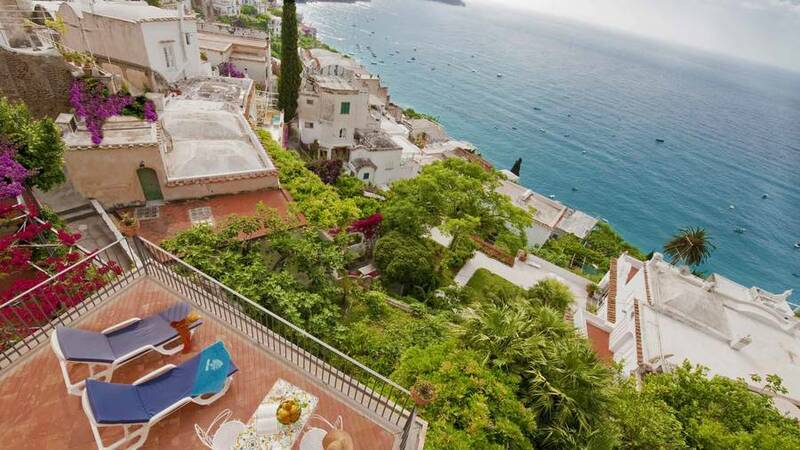 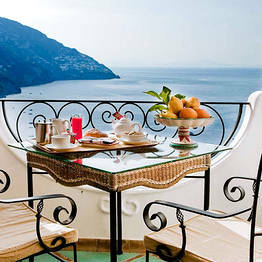 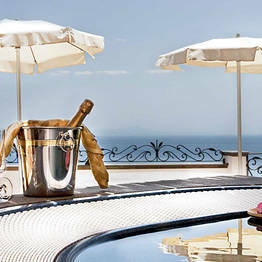 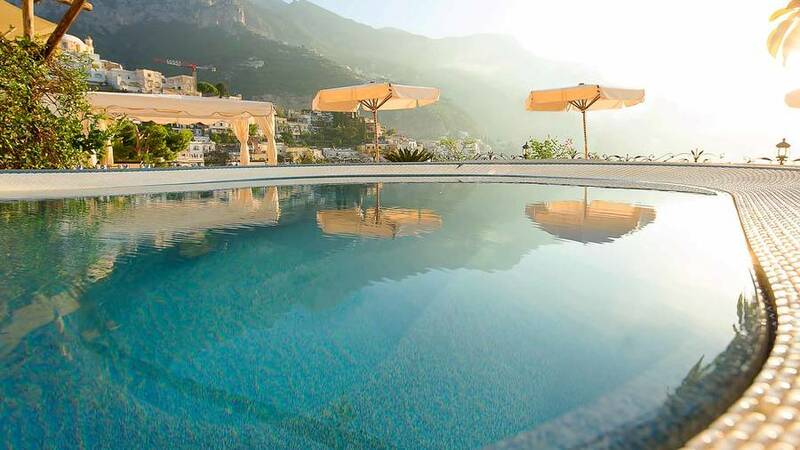 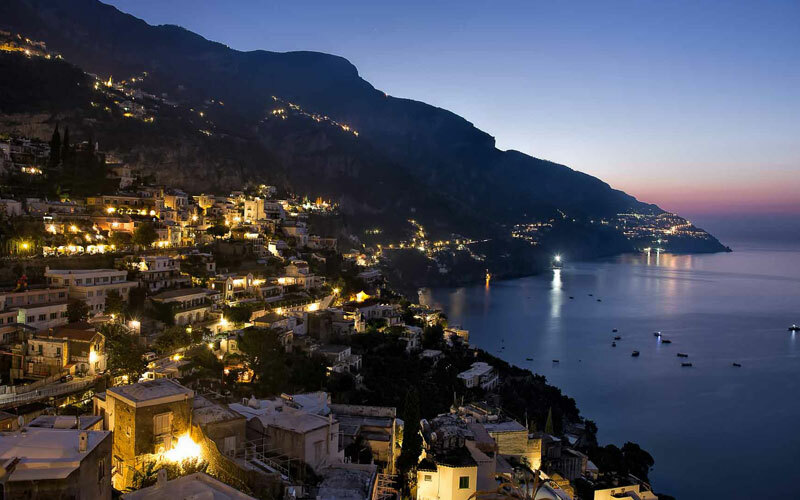 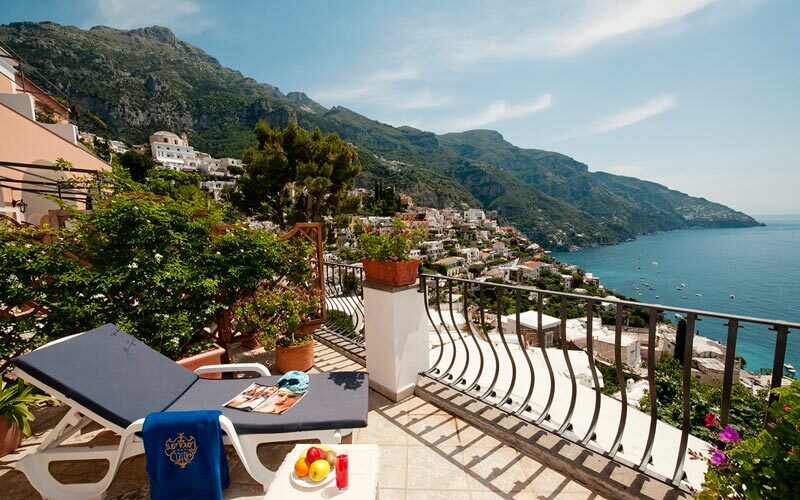 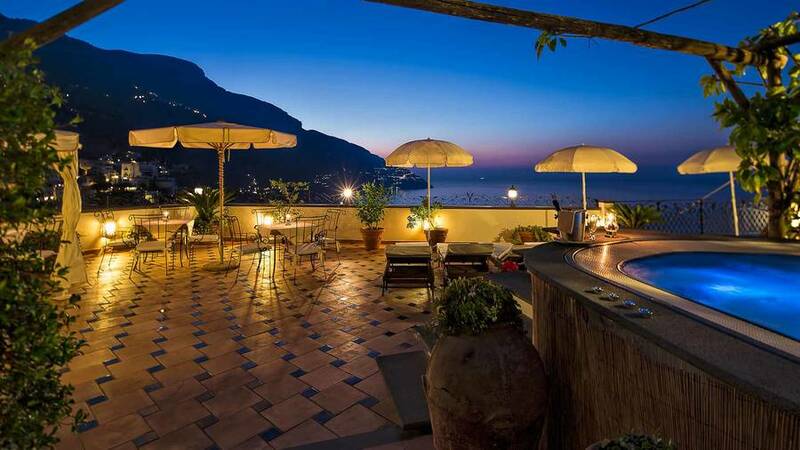 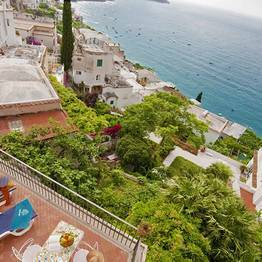 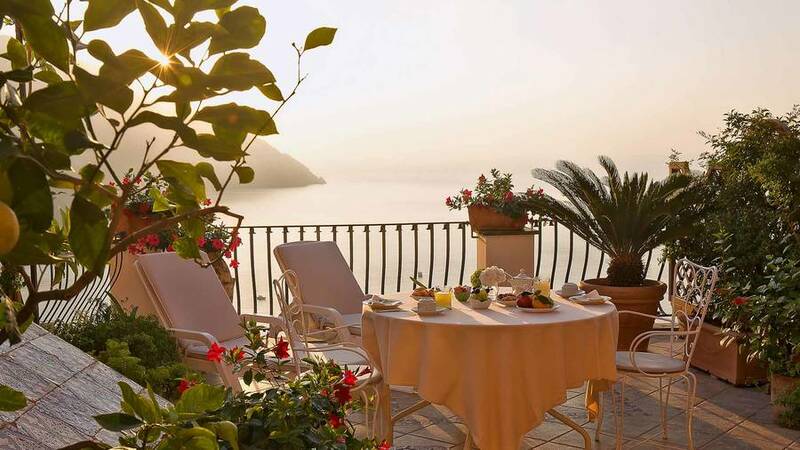 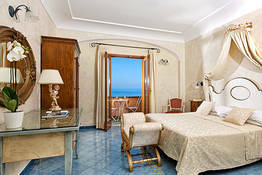 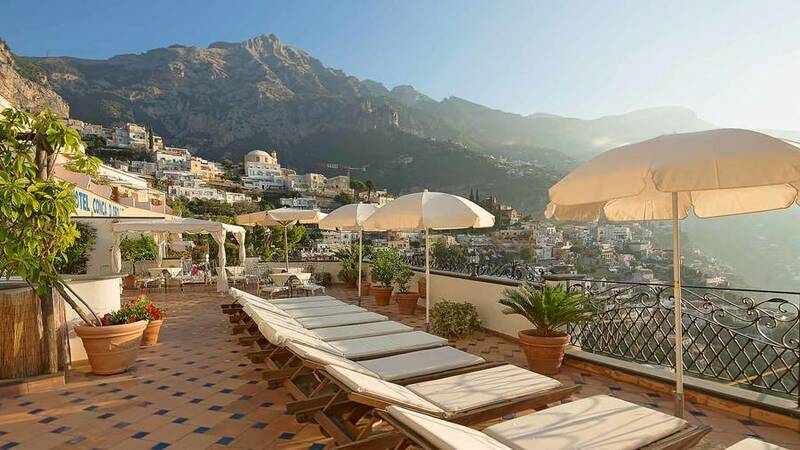 Book Hotel Conca d'Oro on Positano.com now with no additional booking fees.